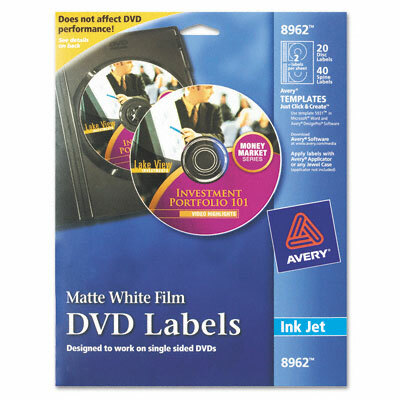 Special film material designed for DVDs. Design and apply labels that make your discs stand out. Print-to-the-edge capability. Special film material designed for DVDs won’t lift, peel or wrinkle.